Here are 11 top paying six-figure programming jobs without a need for a college degree. You can learn these programming languages and will get you a six-figure job easily without a college degree. The selection is as a result of the trend in the job market, freelancer websites, job boards, staffing company websites, and various networking groups. A programmer uses a set of instructions and codes that a computer can understand to perform specific tasks for its normal operation. This is known as the programming language. A complete program language is composed of a sequence of statements with usage rules (syntax) that gives the meaning (semantics) of the word written in the literature. Fundamentally there are several types of programming languages. That is commonly used in computer programming. The first computer language was developed around 1943-1945 by Konrad Zuse, but it was not implemented, but it had to be translated into machine code. John Mauchly designed a shortcode with a high-level programming language in 1949. Many Programming Languages were developed in the 1950s and 1960s that are still in use to date. Honestly, companies will not employ you based on the programming language they used but based on how good you are on the programming language you know and how fast you can apply that knowledge to learn any other language. Below are top paying programming jobs that will earn you good money and you can learn them on your own without visiting the wall of any University or College. It Is Important to know that the arrangement is done according to our decision, it does not imply that the number 1 is better than number 11. Making Full-Time Income Online Is Real. Yes, Start This Affiliate Marking Training Now (Level-1 of Ten-Lessons Is FREE). No Credit Card Is Needed to Join. What is Python About, Exactly? People loved Python because of its design philosophy that reflects great code readability because the structure of the code has a close resemblance to the English language. The most important thing when choosing a programming language is a convenience, ease of use and many other traits and that is what Python is known for. The high demand for Python Developers is as a result of its popularity in the marketplace; a lot of big brands are developing their software’s with Python because of its stability and durability. Great websites like Instagram, YouTube, Quora, Google, Reddit, Spotify, and DropBox are developed with Python programming language. Indeed Python is critical when you are discussing web service space. Currently, there are over 45,000 available jobs vacancy that required Python developer’s skill. The good news is that you can learn Python in a lot of great places online at a very cheap rate and almost at no cost. Python is rated amongst the highest paying programming languages in the USA. On average the salary scale for python is $ 8624 per month. This gives an average of about $ 103,492 per year. The variation in salaries is also based on skills, expertise or job title. The pay may also vary from country to country. How Productive is Python Developer? When it comes to writing a simple program, Python saves time. Python is well known as the most efficient and the easiest to use. Python is the most dynamic as compared to other languages like Java. It is regarded as multi-purpose due to its code readability and its ability to allow a great number of shortcuts to be integrated. Java programming language was first introduced in 1995 by Microsystems. It has excellent support from all web browsers. It is a programming language that enhanced the interactive features of the web pages. It is the one language that makes every page of the Internet very active and use its element to produce great animation that engages Internet users. This language is widely used globally for the support of almost all web browsers. The interactivity features of this language are used in the creation of both web pages and web applications. Today, Web is the dominant platform, and we need various devices to work efficiently on the Web. According to PayScale, San Francisco and Arlington give the highest salary of $97,000 per year. The salary also depends on the level of the job cadre of the developer. The most top Java developer of a senior position in Washington, Seattle earns a salary range of $124,000- 120,000 per year. 2017-2018 java productivity was on the highest as compared to the previous years. What Is Ruby On Rails About, Exactly? Rail is a web development tool that provides the developers with the necessary framework in Ruby programming language. Rails framework simplified website development and applications. Rail helps you write fewer codes at the same time you may accomplish even faster than what any other programming language will achieve in term of frameworks. Ruby on Rails was first released in July 2004 written in Ruby programming language. Its demand gained momentum till 2006 when it started declining in popularity due to some of the scalability issues. The popularity began rising again in the year 2016. Ruby on Rails is an ideal web when it comes to its flexibility and easy to use. By January 2016, it is estimated that over 1.2 million websites were being developed by Ruby Rails. The object-oriented nature of Ruby and accessibility of source code within the Rails community facilitate the faster executions of coding process; since there is no need to purchase a license to acquire such source code compared to other commercial programming language frameworks. Rail is heavily used for Rapid Application Development – RAD; since it’s framework structure allows changes. You can quickly code in Ruby because of the ease of its readability and documentation. Ruby also has excellent testing frameworks this is why the coding process is faster and help the developer achieve more in a little time compared to other programming languages. With competition from other programming languages and the growing number of companies that uses Ruby on Rails, salary scale varies from time to time and also regions. According to payscale reports, Ruby Rail Developer of less than a year of experience earns more than Java developer of the same or equal level. On average Ruby, the developer can make as high as $112,000 per year. How Productive is Ruby On Rail Developer? Rails help you save time by allowing you to deliver more in a concise time due to its features. The third party module is the best as you can use conveniently. Db version and email framework are pre-solved in ruby on rails. Ruby on rails is the interactive and convenient program language due to its simplified features. What Is Swift About, Exactly? Swift is a multi-paradigm, general purpose program language. Swift is a product of Apple company majorly for iOS, macOS, watches,tvOS, and Linux. It was first developed in June 2014. It was ranked among the top ten programming languages by 2017. It is a programming language designed by Apple to make programming more comfortable and fun to use. It is majorly for the development of Apple products and devices such as iOS, OSX, tvOS Apps and WatchOS so as to replace C and Objective C. It provides greater security, safety, and better performance. Swift is open source software that makes learning and implementation and usage by anyone more comfortable; since it is free and open to all developer worldwide. Swift is one of the most dynamic programming languages in high demands today. If you plan to be an App developer, it is worth learning. The most popular freelance website reported that Swift is fastest growing in demand in the marketplace. iOS developer is still in short supply, and there are needs for more developers to fill in the gap. With over 7.5 billion mobile devices in use in the world today; iOS is the second most users used mobile platform across all country and region. A lot of company and business minded individual are focusing their strategies on positioning themselves for ease of reach in the marketplace. The above are reasons why Swift-programming language is in demand heavily today because companies and individual are positioning their business to benefits from Apple customer base. Swift developer salary varies from country to country, but the significant determiners are the level of job and expertise. The average wage mostly is approximately $115, 301 yearly. This gives roughly $9608 per month. How Productive is Swift Developer? Given the fact that Swift programming language is most recent, it uses syntax in a simplified version making it more ease and learner friendly. With the current market trends, swift is among the most used program language in the world today considering the popularity of Apple devices. What Is Java About, Exactly? James Gosling of Sun Microsystems originated java Programming language and released in 1995 as Java platform. Java is one of the most current programming languages is used today most especially as client-server web applications. Java is class-based and, and it is referred to as a general-purpose computer programing language. Because the application developer (programmers) will write Java once and when compiled, it can run on any Java Platform without recompilation. Java is well known for its security features. Its demand for a programming language is mainly in Android (J2ME), Desktop applications (core JAVA-J2SE), Web Applications (J2EE). The high demand for Java is primarily for a web application. Most banks and transaction sites use this programming language mainly for security purposes. The demand for Java programming language is colossal today mainly because of its use for Android development. According to the recent Stack Overflow Developer Survey, Java is third in demand of all the programming languages. Java is claimed to be the second most embraced computer language in the world. It is in use by over 12 Million developers and runs on over 9 billion devices worldwide (User-based). Most companies that are out to develop new products and services will need to engage a Java developer at least, and they are also needed to help the company system stay current. Android is a number of mobile devices and it heavily on Java developers. With great backward compatibility of java, it can be run on any platform without the need for recompilations. Java’s speed and robustness are compared to none; speed is of devices is critical in the age. According to the pay scale, the average salary for a starter developer is $47,169 per year. The highest senior programmer earns an average of $95,000-124,000 per year. How Productive is a Java Developer? Java programming language is mainly accepted for its security features and timesaving manner. Compared with other languages like python, java has got some edge regarding simplicity and learner friendly. For those clients in transaction businesses like banks, java is the way to go. Start This Digital Marketing Training Today. You'll Earn As You Learn. You Have Nothing To Lose. 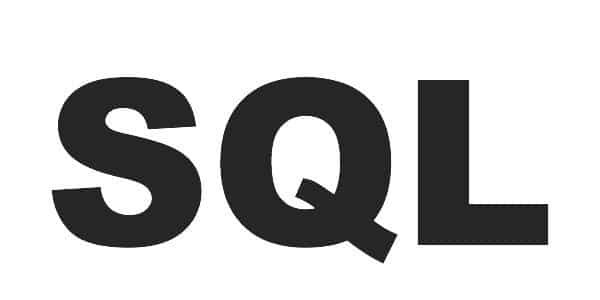 What Is SQL About, Exactly? Structured Query Language (SQL) was first developed in 1970. It is a programming language designed for manipulation of database tables and its integration with XML document standard. Simply put, SQL is a programming language you use to manipulate and interact with the database. SQL performs four significant operations such as Insert, Select, Update and Delete. It communicates and managing data and data structuring as contained in an (RDBMS) relational database management system. SQL provides a particular exchange and integration of data from different sources. Data is everything in our day-to-day business; every business organization must collect and manages its data for effectiveness; hence the need for Structure Query Language. Indeed SQL is a tool for retrieving and organizing information as stored in a relational database management system. Many believe that Structure Query Language development will always be in consecutive demand years to come. Since data rule the world, major companies will still need queries of data to manage their information. SQL has proven to be useful for such queries and data manipulations, and the good news is that there is yet to be any substitute to date. SQL is pure, well known and easy to use, and it is the most efficient way of writing queries. Every company will need good Structure Query Language developers for the maintenance of their data and asset for efficient productivity and profitability. To remain relevant as a developer to your organization, you will be required to develop SQL databases and must write great applications that will make handshakes with these databases. And you will be required to work for a hand in hands with other employee or IT staff. U.S. Bureau of Labor Statistics has projected that Structure Query Language developer will remain a force in the industry for a long time to come. SQL developer help database users, admin and the company as a whole simplify their jobs and eventually assist the end users to get more done in a small time possible hence maximize profits. Many companies are now using a database that has inbuilt SQL call MySQL; this is developed and distributed by Oracle. It is open source software that can be used by any companies to suits their purpose, and it is for free. MySQL is used for many applications, and it is majorly used on many web servers of great websites such as Google, Alcatel Lucent, and Facebook. The professionals working with SQL should expect an average salary of $25,000. The rates will vary from sector to sector. The highest being those working in the banking sector. How Productive is SQL Developer? The time factor is well saved by the programmer using SQL as compared to the others. SQL also improves the quality of coding thus deliver accurate estimates. Intelligence report and databases are secure. What Is C++ About, Exactly? 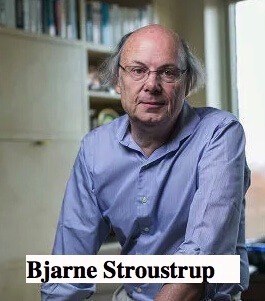 C++ was a high-level programming language that was developed by Bjarne Stroustrup 1979 while he was at Bell Labs. C++ is an enhanced version or an extension of C programming language. It is regarded as the grandfather of all programming languages. It is really hard to learn, if you can learn C++ then you can learn and know any programming language. That should give you comfort that you are not alone. It grew by more than 21000 job postings in 2016. The demand for C++ is significant as a result of its performance and high power. C++ is an object-oriented programming language, one of the main reasons why it is so much in high demand today because of its usage for graphical applications and mostly employed in MAC and Microsoft platforms. International Organization for Standardization (ISO) standardized C++ 1998, and this was later review in 2003, 2007 and 2011 respectively to maintain the standardization. Need for a C++ developer when it comes to job opportunities that are available depends on your current location or where you are ready to move. There are a lot of multinational companies that require and looking for highly competent system engineer that knows their onion in C++. C++ is best for predefined programming classes that can be used several times (since they are data type); C++ is used for the creation of computer systems and system applications. C++ developers are involved in more than just coding, they are engaged in gathering system requirements, and algorithms development and they ensure proper deployment is achieved. 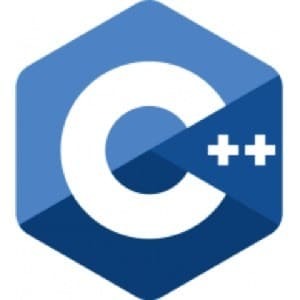 C++ is heavily employed in most of the embedded system software engineering companies across the world, and it is also suitable for the development of applications for processing of film, music, and gaming and very popular in communication, health care finance and many more industries. Many programmers preferred C++ because of its interfaces with other programming languages and its high performance. Your choice of a programming language depends on what you want to get done. C++ is a high performing programming language. If you are knowledgeable in C++ then you can learn any other programming language, this is one of the most powerful language ever. It is within position one to four years on Tiobe Index Ranking. For instance, you don’t need C++ to develop just any website; but if you are looking at a site that must process two million tasks per minutes, and then you can consider C++. The C++ earn an average salary of of$81000 for the National figure of the USA. But the figure changes as some factors come into play for those senior developers and also depending on the institution of work. How Productive is C++ Developer? C++ is well known for being the most powerful and high-performance software. It is mainly used for building desktops and web apps. This programming language was developed in 1970. It is mostly applied in production technologies. It was developed by Ken Thomson. The main problem with Go is the way it magnifies the problem making it appear in multiples. The average salary for the Golang developers in the US is $79,985 for the year. The salary scale changes depending on many factors coming into play. Golang is a good language for both experts and learners because it is simple to interpret. This programming language is the latest. It was initially developed for Microsoft.NET. It is currently used for non-windows machines. The average salary scale for the developers of this program ranges from $65000-100000 per year. The salary scale according to the Payscale is a function of many factors. The main advantage of C# 7.0 that was released recently are; pattern matching, local functions, and language support. Kotlin program language developers earn according to their job levels and expertise. But on average the developer makes about $65000-110000 per year. Why you should switch to Kotlin is it's 100% interoperable. The familiar syntax is not a weird language to many developers. It is also smarter and easy to read version. This is the language designed for web developers. It was created by Rasmus 1994. Most of the syntax is coined from C, C++, and Java. The PHP interpreter processes typically PHP codes. The average salary of developer ranges from $70,000-95000 per year in the United States. PHB’s components are free to use thus making it very cheap. It is also easy to learn due to its codes C and C++embedded with HTML. It’s also very secure due to its layers. What do you think of these 11 top paying six-figure programming jobs without a college degree? You can learn anything you want and this includes these tops programming languages. A lot of people have learned on there own and become a guru coding for money. Programming languages and jobs are very paramount to modern society. Without computers, life will be very cumbersome for humanity. Programming languages have evolved since its inception, and the evolution will keep on and on. One program language cannot address all the problems. It is therefore very critical to have diverse languages that can bring solutions to different issues. There are so many people employed directly or indirectly through the invention of the computer's system today. I myself am a PHP developer working for a well-known company. The earnings are really immense. But you also have to be conscious that you have to work for. Working hours of 50-60 hours a week are not uncommon. But as I said, the hard work is rewarded with a GREAT earning in the end. Thanks for reading my article and review of 11 Top Paying Six-Figure Programming Jobs Without a College Degree. To me, Programming is scary and time consuming. You need to be a thinker and a great problem solver. And you will then start debugging after writing. Thanks, again for checking on my website. I am loving all the information you have packed into this post and the YouTube videos have really help me get my head around all of these different programming languages. Programming is such a valuable thing to learn to do. Which one do you think is personally easiest to learn? I love C++. It is my favorite. But that does not mean that it is the easiest to learn. I have not to try to learn any other one. But this article was a review from a popular article on programming and the pay it offers the employers in the market place. I might seem stupid but I really did not realize there were so many varieties in languages to learn in programming. For some reason, I thought it was just one. However, I did know that programmers earn a fortune. I really think it is inspiring to think of the change it can make to your life if you learn one of these languages. Thanks for reading my article on 11 Top Paying Six-Figure Programming Jobs Without a College Degree. Yes, if you don’t know a thing that does not implies it is not existing. We even have many other programming languages that are not reflected here. Because this is just about top programming languages. My biggest regret in my youth is not taking much interest in programming. My brother learned from my day, whereas I just wanted to hang out with my friends. Now, as a full time traveling nomad, I am pretty sure that I could be earning a lot more. However, this post is really inspiring as I guess it is never too late to learn. thanks for loving my article on 11 Top Paying Six-Figure Programming Jobs. The good news is that you don’t need College Degree to know how to program any of this language. Anyone can learn and start learning at any time. You just need to be the focus and determine. I remember when I was young, I was always told that you couldn’t get a well-paid job without a college degree. Well, your article is yet another example of them being proved wrong. When you put your mind to it, you can achieve. Life has been made a lot easier with the computer age and the many learning platform available in the public domain. You can learn anything as long as you are not lazy. To be a programmer you must be very hardworking and discipline. This is why the programming jobs are high paying jobs. And you dont need to have degree or go to school to learn any of these programming skills. Definitely very interesting list of programming languages. In my friends circle I know one who works as a computer scientist. And he earns a lot. As you already write, it’s not uncommon to earn $4,000 or more. This article opened a new world for me. I never knew there where so many languages you can use for programming a computer. Being retired I only use a computer and never think about the inside workings. Thanks for reading my article on 11 Top Paying Six-Figure Programming Jobs Without a College Degree. And I am so happy that someone somewhere loves my article. You can really make a lot of money coding in any programming language of your choice. You can also be a consultant as a retiree. I hope you will be back again? This is so interesting! I didn’t even know you could get a programming job without a college degree. I love how the internet is creating all of these great opportunities for people! Thanks fir read8ng my review on 11 top paying six figure programming jobs without a college degree. You can learn anything online via various social medial these days. I never thought it was possible to find a six-figure programming job without a college degree. I didn’t even search for such a thing. Thank you for doing the research and finding these gold mines! I will start using them right away. What a great article. Well done. When i picked up programming I was messing with it, but developed a passion for it. Especially for Python, it is so commercialized and easier to learn. Thanks for reading my article on 11 Top Paying Six-Figure Programming Jobs Without a College Degree. I am g;ad you liked it. I remember growing up hearing how college degrees were a ‘must have to get a good job’ and here we are today noticing more and more that that is not the case. Your post proves that perfectly. Do you think that a college degree honestly means anything anymore when it comes to getting a job; particularly with programming? Thanks for visiting my site. Many people like Bill Gates, Ted Turner, Anna Wintour, Larry Ellison, Steve Jobs, and Michael Dell did not graduate from college and they became rich and famous. It is not about school anymore but about how ready you are to shape your world. Programming is the key to the future. changing lives and helping people solve major life issues. A simple answer is this. College degree means little these days. Thanks for the intro to the more useful computer programming languages. Some of the names were new to me. Back in college, I took a class in Fortran, specifically Fortran 77. I discovered at school that I am not detail oriented enough for programming. Although I did dabble with some of the other languages, such as Basic, Logo and tiny bit of C.
I do believe that if you have the aptitude, programming is a very good field. Even so, I expect that having a computer programming degree from a major university would be better than just a high school diploma. College degree is very key and will always remain important but not for every courses. Most especially for Medical jobs, you need a good experience and therientical one for that matter. Therefore it is important one goes to school. Also, one key programming language is enough. if you can know the backbone of the languages something like C++. Knowing other programming courses will be secondary. It will be easier learning any other languages. So, one core programming language is enough. If you know one you can learn any other one within a month. If I thought I had the brains to do something like that I’d do it all day long. Very Interesting article about this different program languages and how one can earn using this having this skills on a certain program language. Definitely a high paying job even without a having college degree. This is definitely another game changer in our world of internet and computers.We definitely need programmers for this program languages.This might be an eye opener for some job seekers looking for a high paying jobs.. When I discovered my passion for programming, I thought all languages would be great to learn and it would be even more rewarding because of the demand in the market. Yes Java is a great programming language. I restricted the numbers, java could have made it easily.